Get ready for the most exciting and thrilling experience of island ride ever! Banana Island is a wonderful classic arcade game. 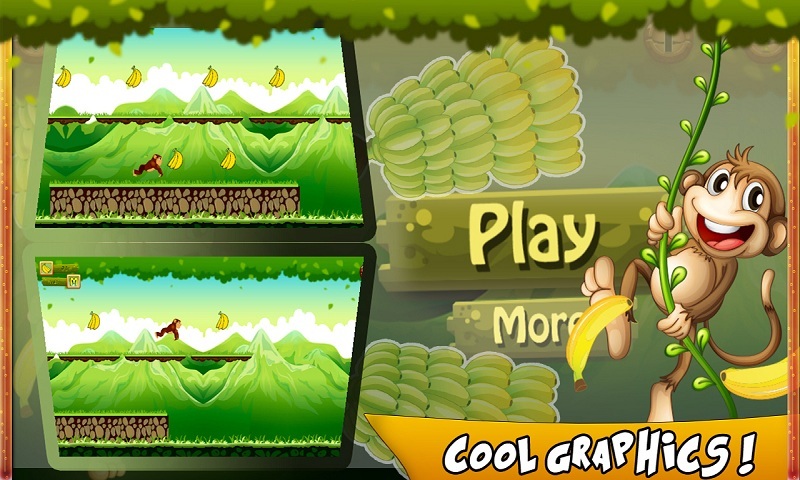 Get on the Banana Island and enter the world of fast-paced 2D platform monkey racing and jumping game. Extremely fun filled journey. Get ready to run and jump with our monkey on a beautiful island. 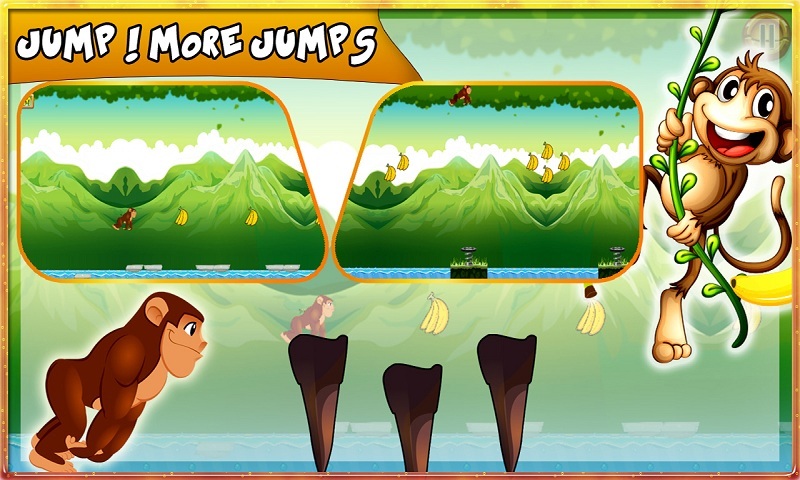 This super fun monkey joyride will take you on the floor of banana adventure where you will have to eat the bananas and avoid the obstacles comes on the way. 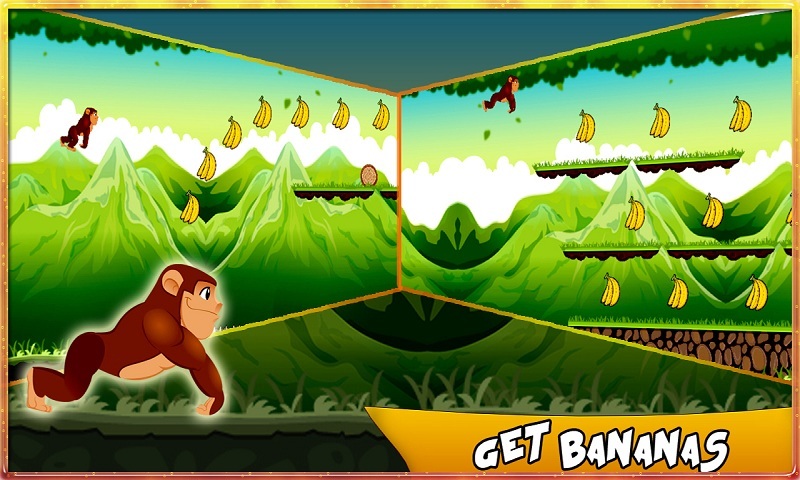 This endless Banana Island will become your favorite of all arcade 2d platform games for kids! Simple and Addictive tap controls ïƒ¨	Simple one touch tap and slide control give great game experience ïƒ¨	Never-ending island adventure! ïƒ¨	Fast paced 2d platform banana adventure game ïƒ¨	Continuously run through astonishing island with full of exciting levels, secrets and deadly obstacles ïƒ¨	Avoid tricky obstacles(crazy enemies) ïƒ¨	Funny monkey sounds and incredible island music ïƒ¨	Get more powers and fly like a bird through the Mountain View! You will get crazy entertainment in this endless running and jumping game. 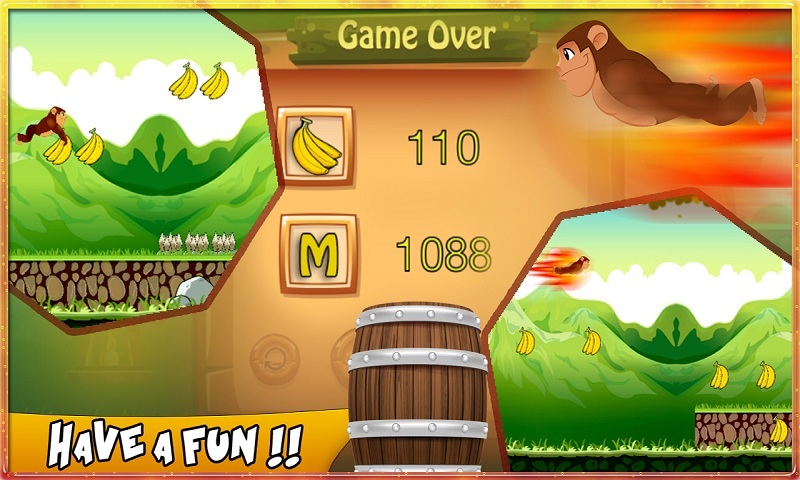 If you are addicted to free monkey running games, you will instantly get a jump on this addictive banana island!